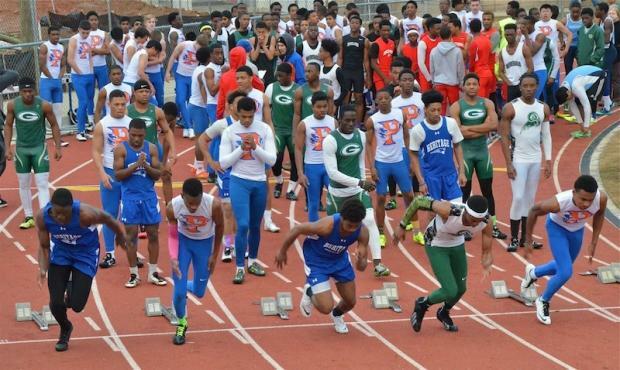 Boys 100 Meter Dash featured a massive 27 heats! Parkview's Head Coach, Matt Henson, accommodated teams by allowing unlimited entries in order for runners to obtain a FAT time. The Girls 100m required 19 heats. Perfect Timer, Phil Logan, was kept busy, to say the least. 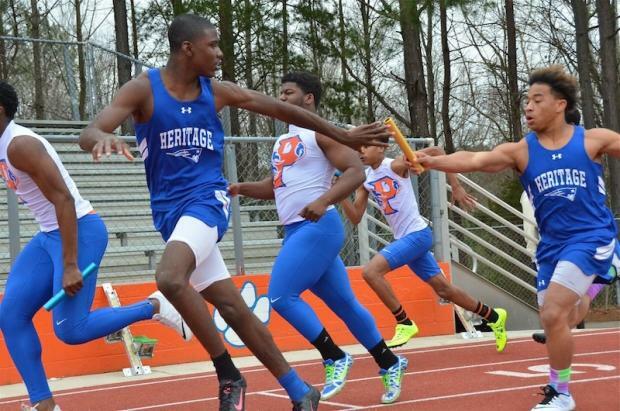 Flawless exchanges were key to Heritage High School "A" earning the Boys 4x100 win with a 44.02. 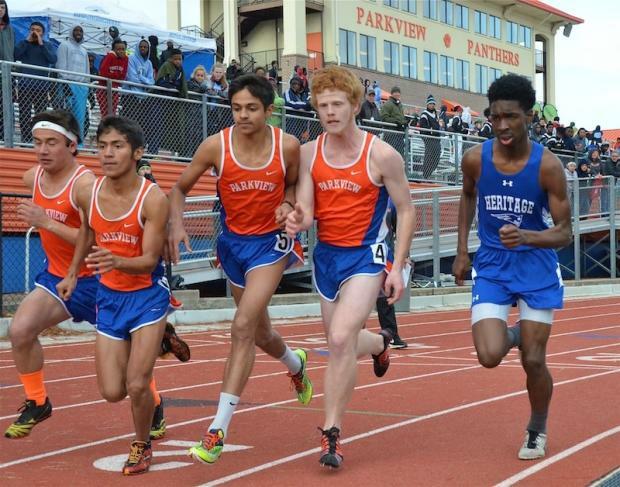 The Parkview Distance squad fought for position during the start of the 1600 Meter Run. This did not faze Super Frosh Jallah Galimah of Heritage as he galloped to the win and posted a PR time of 4:42.73. Jallah doubled with a victory in the 3200m later in the night. 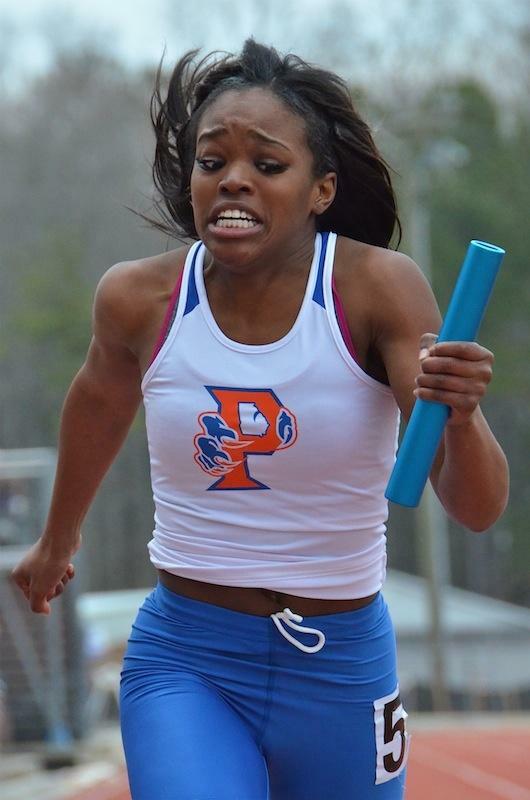 The Heritage Patriots' Track & Field Team members stayed warm and enjoyed another great meet at Parkview.